Dress your table for the perfect holiday party. The holiday season is officially upon us! Whether you’re engaged or are a newlywed, you may find yourself preparing to host extended family gatherings for the first time. Did you already tie the knot and find you forgot to register for entertaining pieces? Or are you still in the process of adding to your wish list? Gearys Beverly Hills, a family-owned luxury dinnerware and gift store with standout service where many Inside Weddings couples choose to register, has selected pieces that will help create an elegant tablescape for a holiday dinner party. “Each season, the world looks to Beverly Hills for the newest trends in beauty, luxury, and fashion,” says President and CEO Thomas J. Blumenthal. 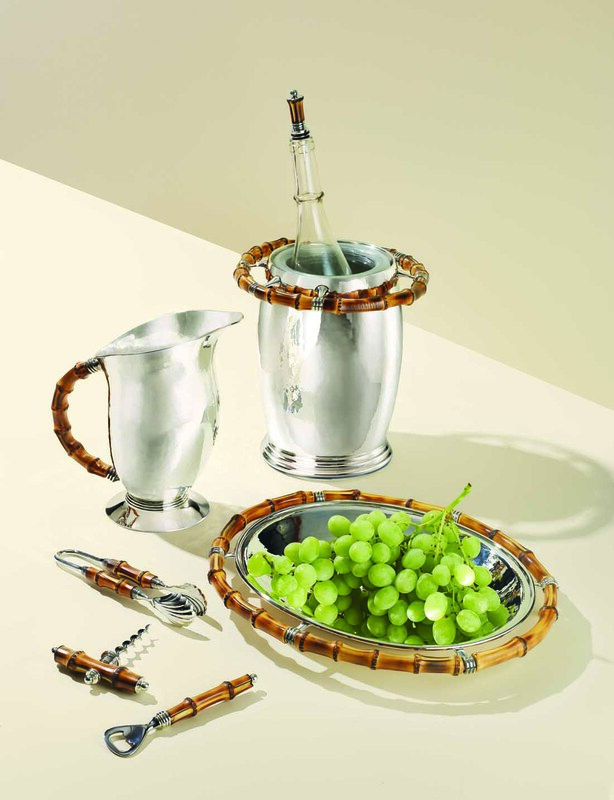 “Since 1930, Gearys has been at the forefront of fine jewelry and luxe tableware trends. Our clients have continually looked to us to identify the top items to upgrade their dining tables during the most important entertaining season of the year.” Take a look at the selection from Gearys below, and click each image to shop your favorites just in time for the holidays! 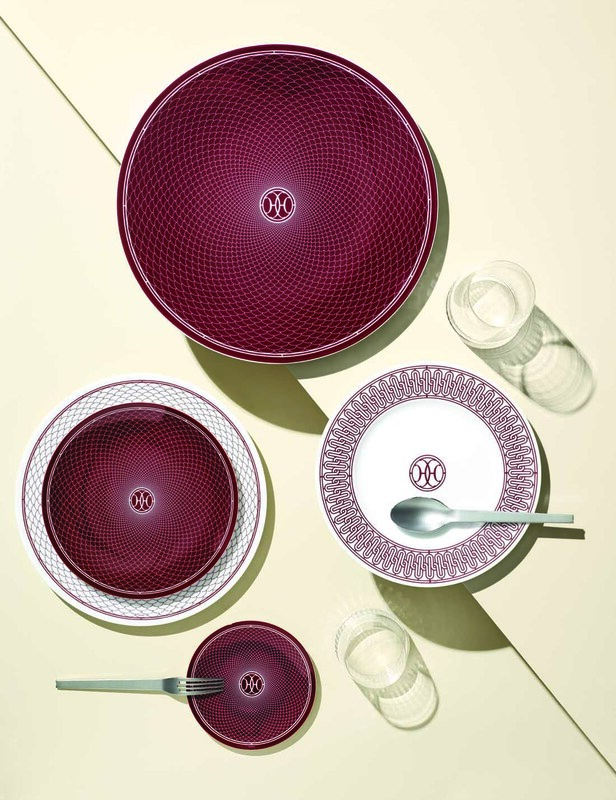 Hèrmes H Deco Red Dinnerware - Inspired by the Art Deco wrought-iron friezes on the Hermès 24 Faubourg and rue de Sèvres stores, the H Déco Dinnerware Collection is distinctly Parisian with its intricate red and white decorative spirals and stamped “HH” initials. 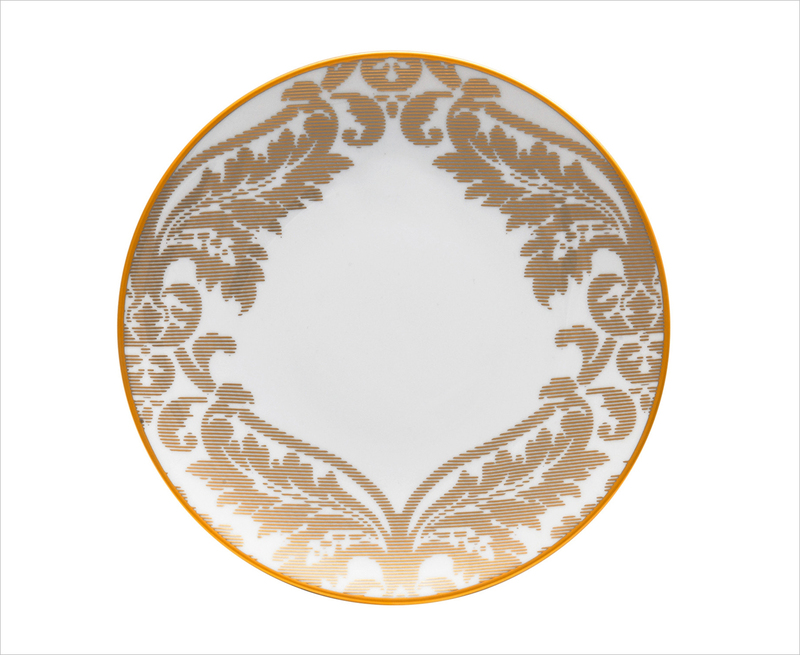 Haviland Damasse Gold Dinner Plate - Created in collaboration with the prestigious Ritz Paris, the Damasse Dinnerware Collection from Haviland evokes elegant interiors, curtains, and tablecloths of French chateaus in genuine matte gold on porcelain. 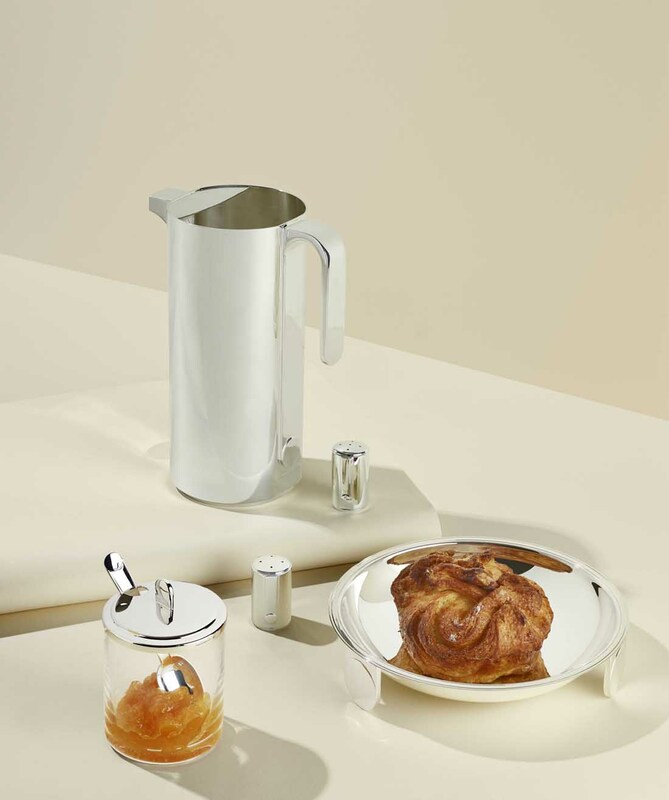 Christofle MOOD by Christofle x KARL LAGERFELD – Exclusively designed in collaboration with Karl Lagerfeld, Christofle MOOD by Christofle x KARL LAGERFELD is inspired by the Art Deco movement. The sleek, stainless steel case opens to reveal a 24-piece set of silver-plated flatware each stamped with Lagerfeld’s iconic insignia. 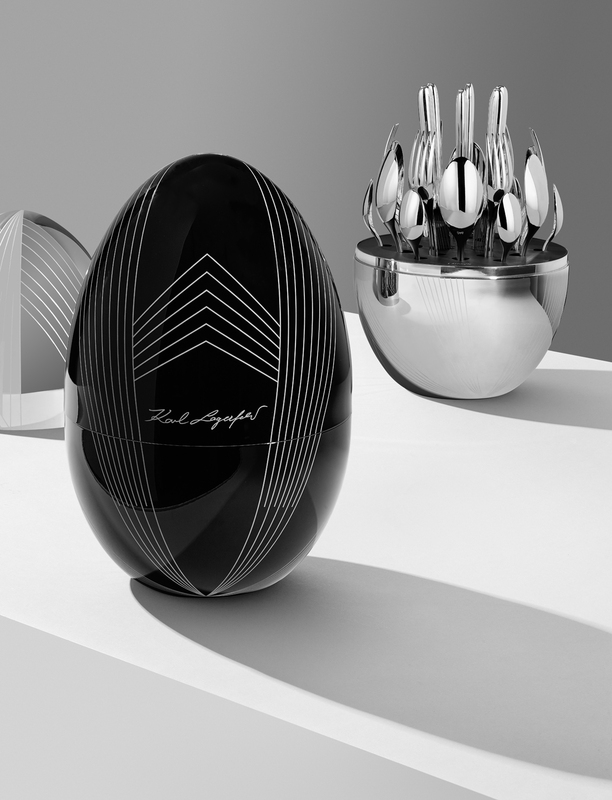 In black (limited edition, 500 pieces) and silver (limited edition, 1,000 pieces). 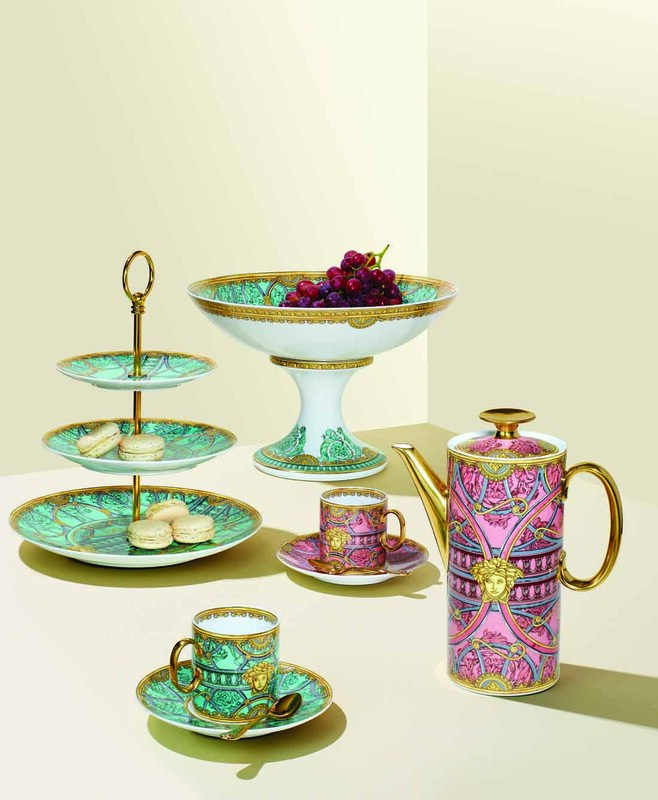 Versace La Scala Del Palazzo Collection – Named after the swirling metallic staircase ascending into the Versace estate, the La Scala Del Palazzo Collection is a fine porcelain dinner set from Versace. Reminiscent of classical Italian palazzis, the architectural style of the collection is enhanced by its elegant green, pastel rose, and gold color palette. 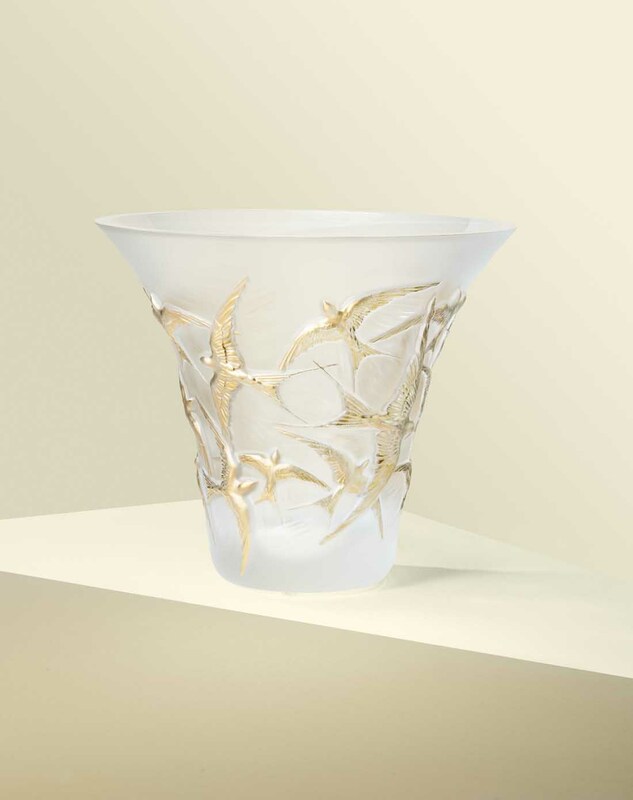 Lalique Hirondelles Flared Vase - Since 1888, Lalique has represented the ultimate symbol of French luxury. The Hirondelles Flared Vase reinterprets the figure of the swallow in a graphic play on repetition. Fashioned in satin-finished and re-polished crystal, the swallows are a symbol of happiness and freedom. For more registry-related tips, find out when you should register for your wedding and what items couples often forget to add for their wish list.